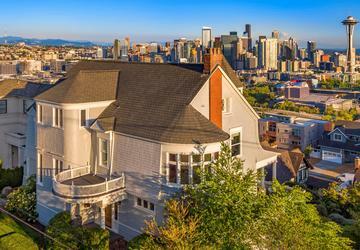 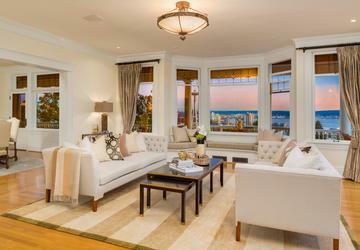 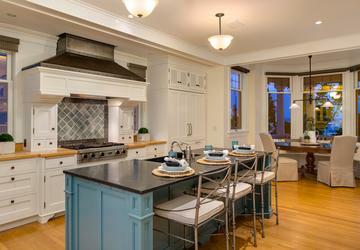 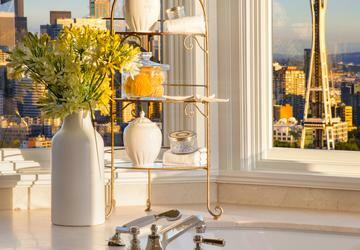 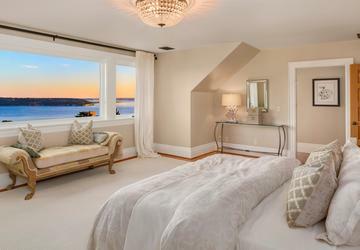 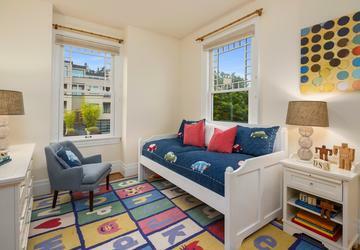 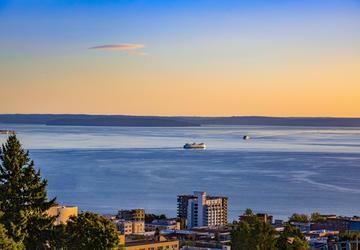 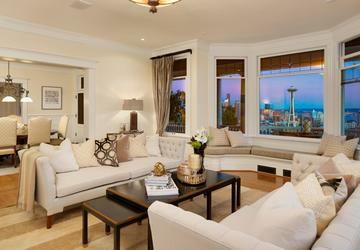 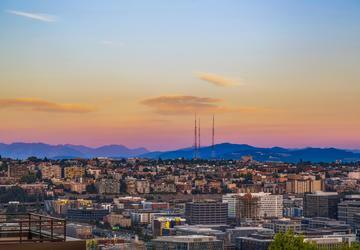 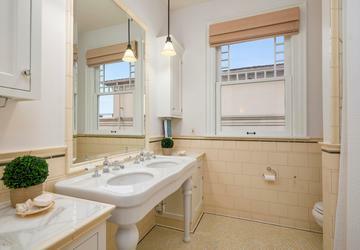 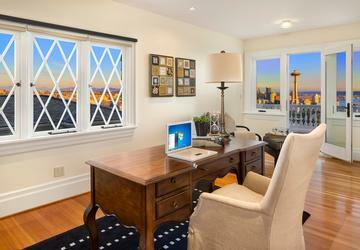 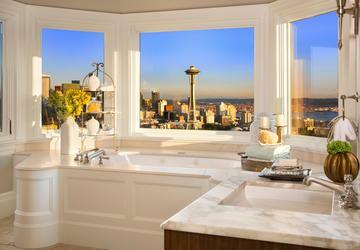 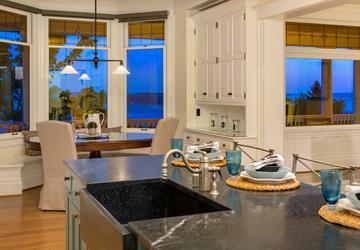 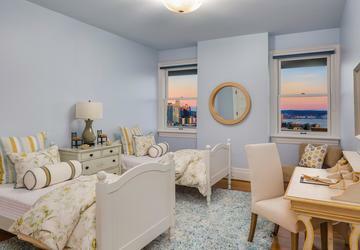 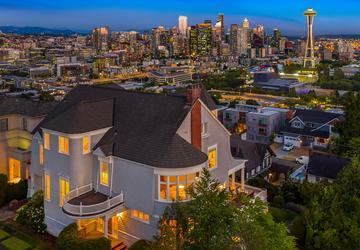 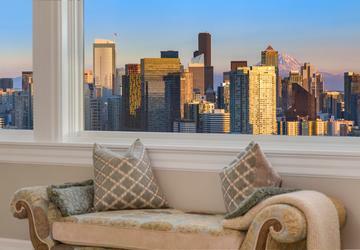 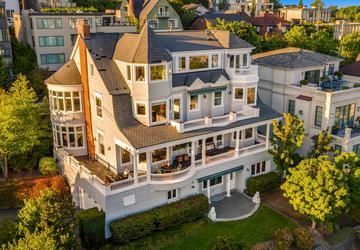 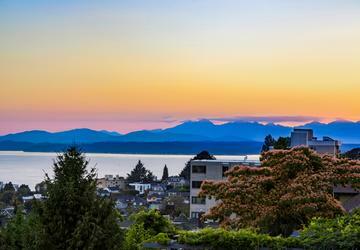 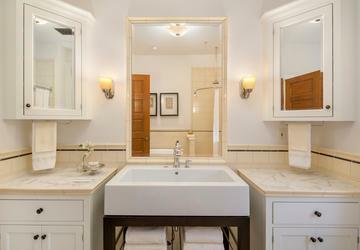 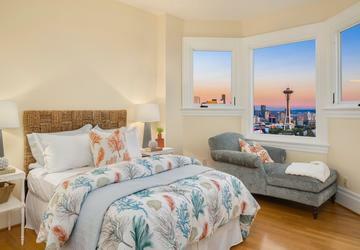 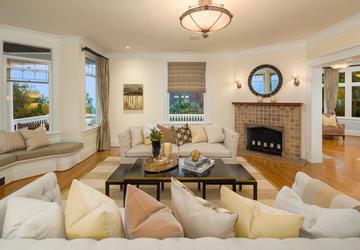 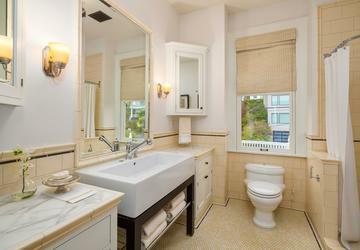 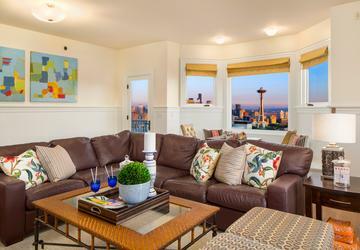 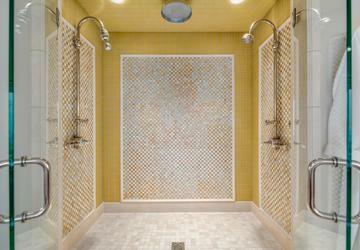 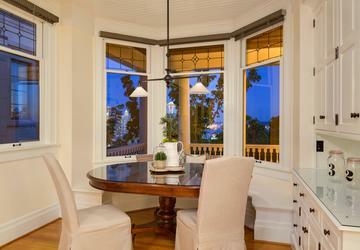 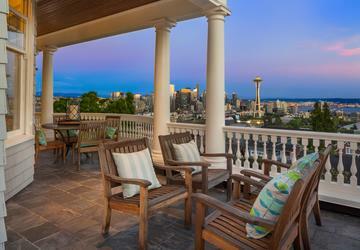 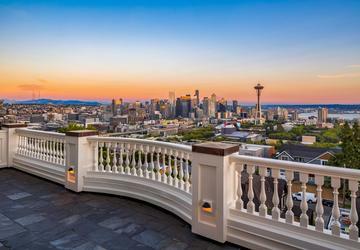 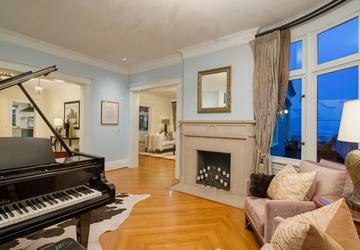 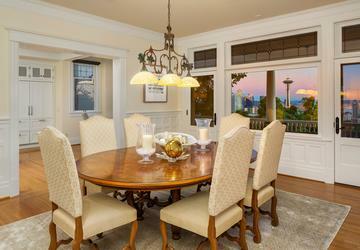 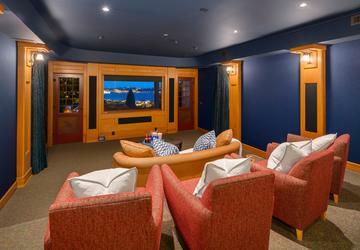 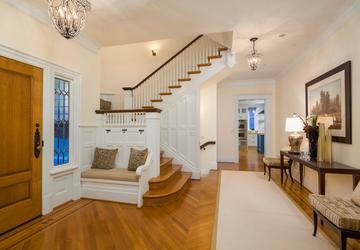 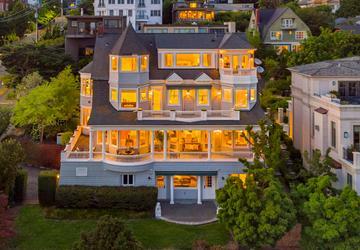 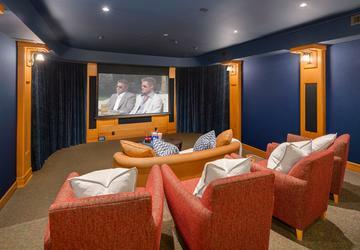 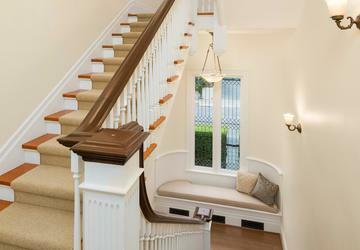 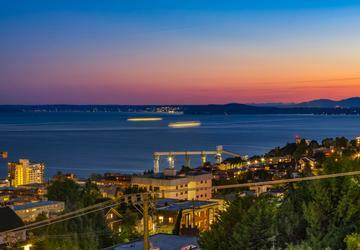 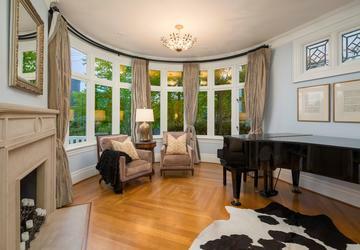 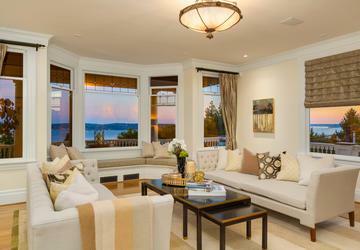 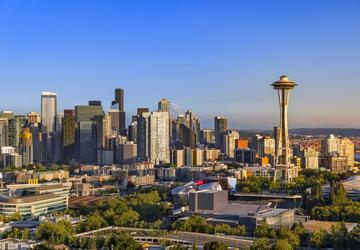 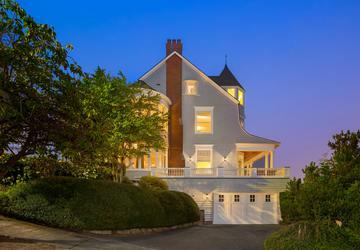 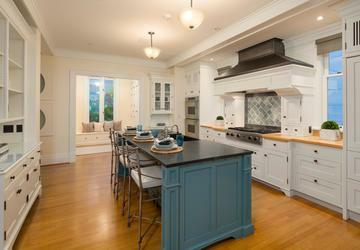 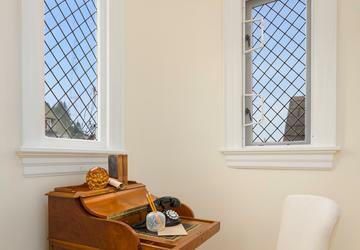 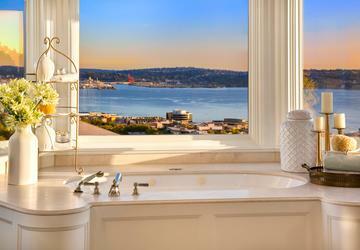 Located on Queen Anne's iconic Highland Drive, this gorgeous home has views of the Space Needle from nearly every room. 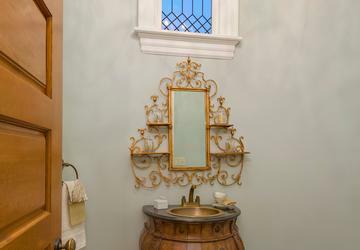 No like seriously - you can't get away from it if you even tried. 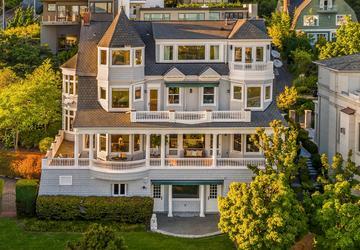 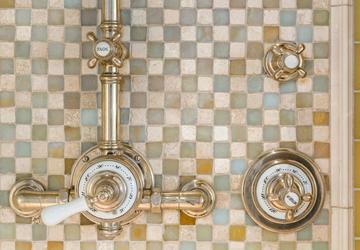 The 6,460 square foot home was built in 1900 and has been completely restored from head to toe with beautiful, high-end finishes. 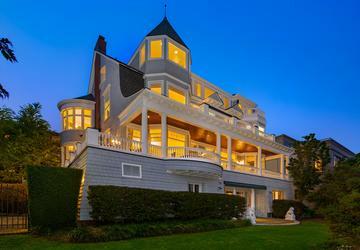 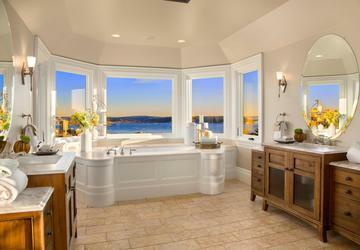 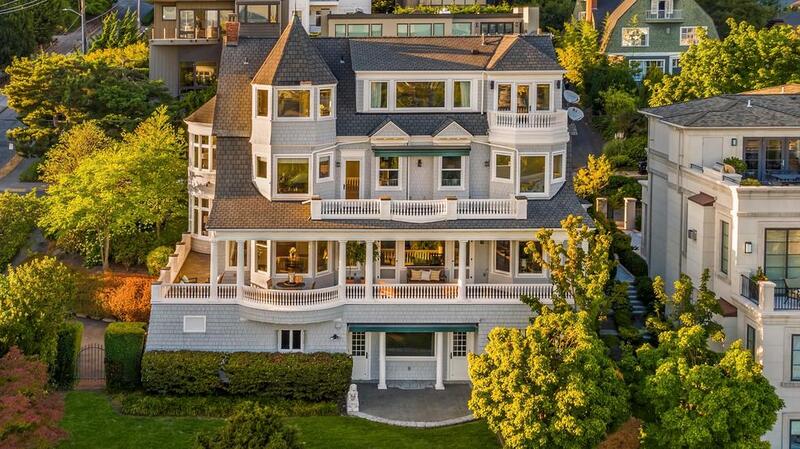 With three balconies, 6 bedrooms, 4.5 baths, and again, BANGIN' views, how is this not the dream boat home? 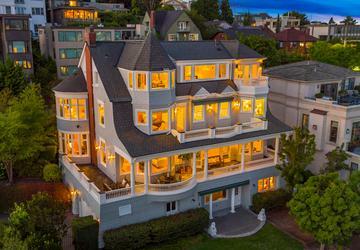 The only downside is that it's slightly out of my price range, like missed by only a small little hair - $7,800,000...... dang, you know. 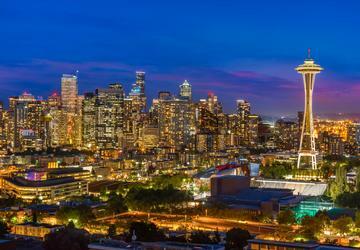 So close, yet so far. 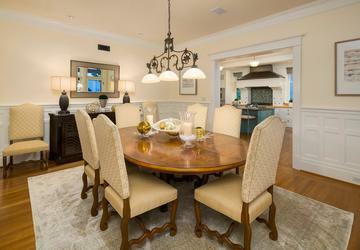 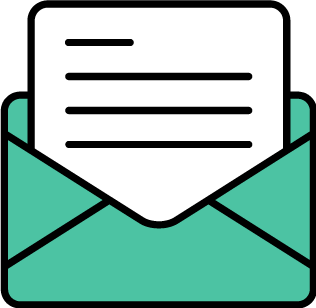 See more info on Windermere's website.